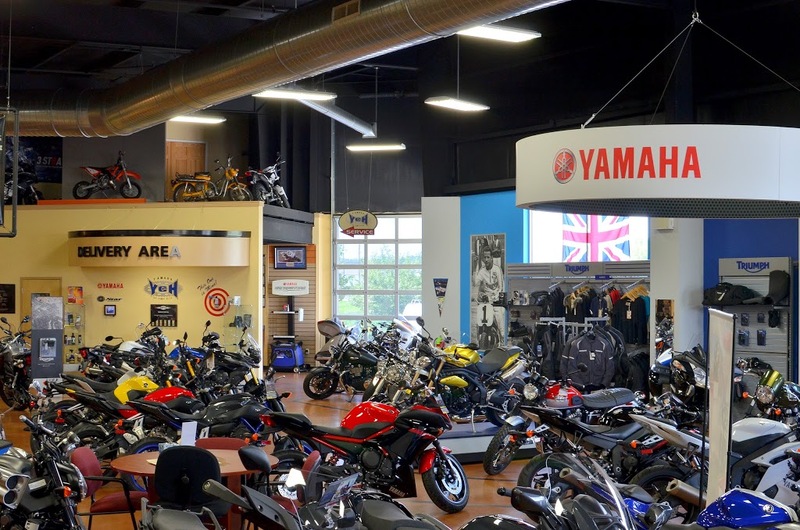 Yamaha / Triumph / KTM of Camp Hill and its entire staff is committed to fulfilling the dreams of all powersports enthusiasts. We are dedicated to providing our customers with quality products and services. We desire to satisfy our customers and exceed expectations. We strive to build a long-term, close relationship based on trust and respect. Yamaha-Triumph-KTM of Camp Hill is working hard to be the #1 Motorcycle, ATV, and Powersports Dealership in Central Pennsylvania. We have over twenty-five years of experience we are delighted by our customer's smiles, when their dreams do come true. We are a franshied dealer for Yamaha, motorcycles, ATV's, Side x Sides, PWC's, Generators, KTM Motorcycles, Triumph Motorcycles, HiSUN ATV's, Side X Sides's, and also a preferred installer of MotorTrike Trike kits. We are closed every Sunday and Monday for the benefit of our dedicated employee's, we are human and need a day to ride and a day to complete the honey do list.